The author speaks approvingly of the line, particularly mentioning Kirkby in Furness and Bootle. 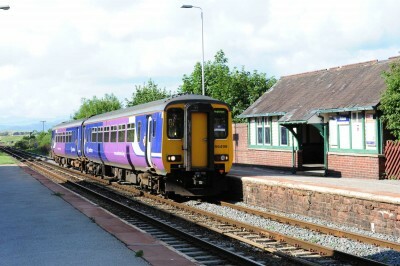 Of Kirkby he says of the view ‘if it hasn’t won awards for being the most picturesquely situated station in England, it must signify that such awards do not exist’. The well-illustrated section (pp201-207) ends with the words ‘The train takes over three and a half hours [from Lancaster to Carlisle], calling at up to thirty-four intermediate stations (almost half of which are request stops), compared to as little as fifty-one minutes via the West Coast Main Line – but this is a journey to be savoured and an intriguing rail corridor to be explored at leisure’. 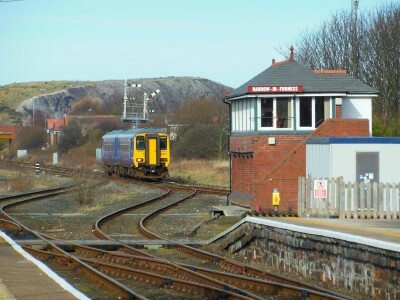 Local interest in this book labelled Twelve great British railway journeys centres around chapter 5 ‘The 08.38 to Sellafield – a journey along the line the time forgot’. Michael writes entertainingly and passionately about slow train journeys and their virtues but from what he says about the Cumbrian coast line, readers would be well advised to check details elsewhere if relying on it as a guide. He makes the journey from Preston to Carlisle, stopping overnight in Millom, which certainly qualifies it for the slow train title. St Bees becomes St Bee’s (not for the first time). 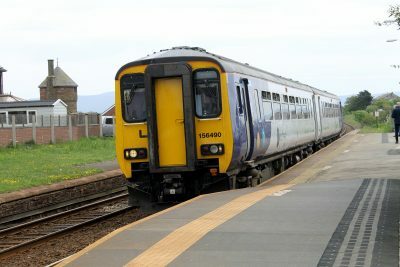 Whitehaven rather than Workington is said to have exported rails. Readers are not warned that the Prince of Wales at Foxfield is not open every lunchtime. 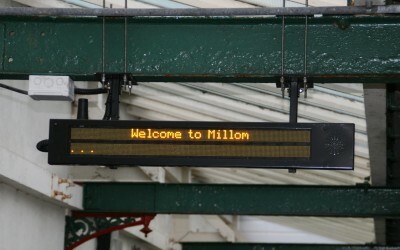 Millom is given steel, rather than iron works. The Rev W Awdry is spelled Awdrey in an account of his fictional Arlesdale railway based on the Ratty. 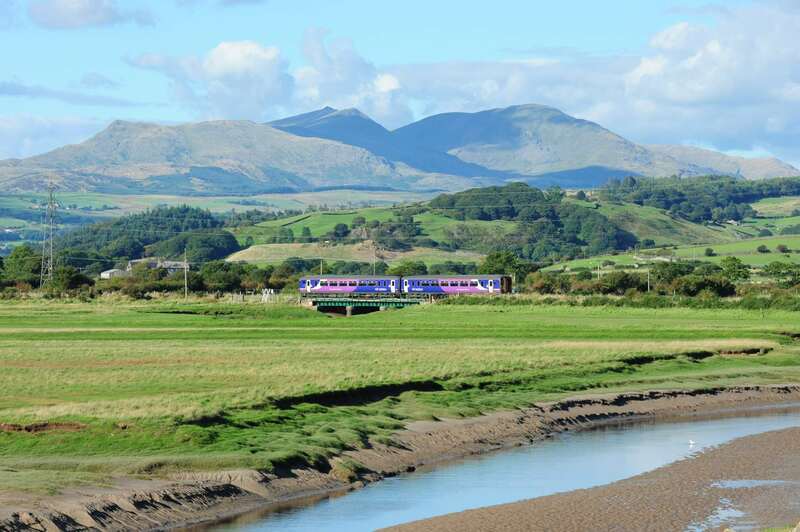 Seascale seems to get moved north of Sellafield. However despite all the inaccuracies it is a largely affectionate and appreciative record of a journey he seems to have enjoyed, for instance saying of the stretch north of Whitehaven that ‘there are fewer more thrilling rides in the whole of Europe’ if you see what he means.